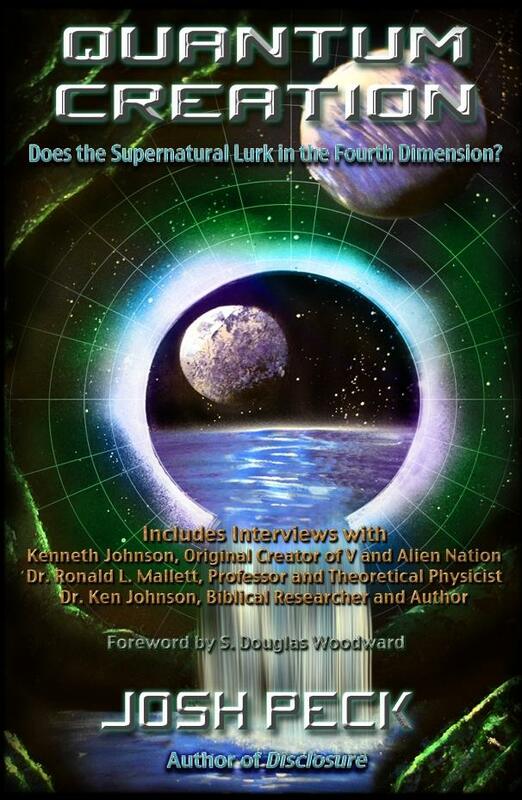 I was privileged to write the foreword to Josh Peck’s new book, Quantum Creation: Does the Supernatural Lurk in the Fourth Dimension? 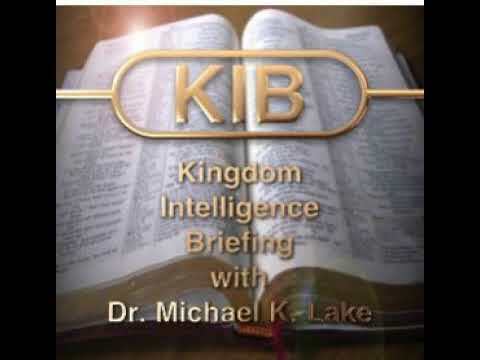 You can obtain his introduction free and the book through his site, the MiniStudy Ministry. Here is the link. Enjoy the foreword. I hope it draws you in to read his book. I think you will find it fascinating as I assert here. Josh Peck is a writer, host of The Sharpening, and the founder of Ministudy Ministry. 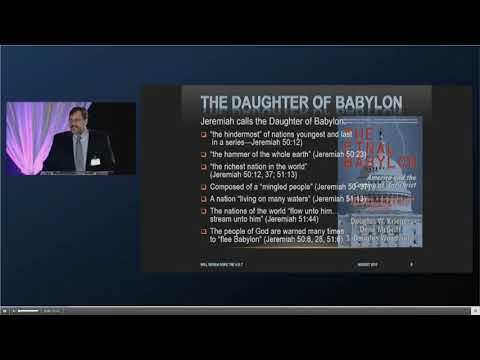 He is a Christian and Biblical researcher with a passion for Bible prophecy. His mission is to wake up the Church to the reality of the Bible, separate Biblical truth from Church tradition, and provide the solid, raw, uncut truth of God’s Word to any and all who will listen. 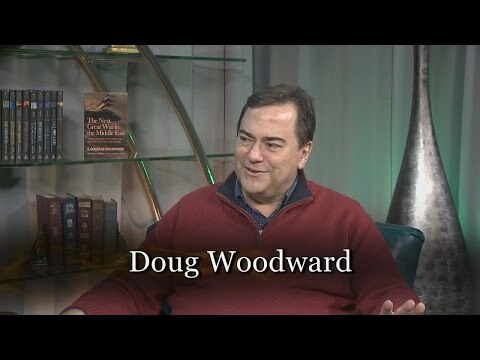 He is the author of numerous books, including Disclosure: Unveiling Our Role in the Secret War of the Ancients, Peck’s Harmony of the Gospels, and Ministudy Anthology I.
I never took physics in school. My first reaction to physics was that it looked like a lot of math, formulas, and story problems. I didn’t like any of those things. Math especially made my head hurt. This designation is interesting since it harkens to a laudatory expression from the Middle Ages. It referred to a person that could write letters—that is, correspondences—for his patron. More specifically, a man of letters could read, write, and say things prosaically—sometimes poetically. Nevertheless, we might still wonder why being able to accomplish such seemingly mundane things commended the ‘man of letters’ to society at large. One supposes it was partly because being literate and capable of expressing oneself clearly was a rare skill. Since no one had telegraphs, short-wave radios, let alone telephones or email, crafting communication carefully was a particularly strategic skill. The time between expressing yourself and receiving a response was likely many weeks or even months. Saying things poorly, especially undiplomatically, might launch countries into war. ‘Misspeaking’ in your letters was not easily overcome. Getting back to physics: despite my innate apprehension for this particular science, through the years I have been drawn to what the character Sheldon in The Big Bang Theory asserts is the superior physics—what is known as theoretical physics. To make my point plain: I wasn’t interested in learning how to calculate the horse power it would take to pull a wagon full of bricks (or better yet, like Busch’s Clydesdales, pull a wagon full of beer). Instead, I was vitally intrigued by the nature of matter, energy, and time—the building blocks of our universe. Early on, I learned (and the reader may recall) the ancients thought that the most fundamental of elements were earth, wind, water, and fire. Three of those four made for a great singing trio in the twentieth century (I’m referring to Earth, Wind and Fire), but serious students of science haven’t thought these ‘meta-elements’ comprised the essentials of nature for many, many centuries. In the past 200 years or so, scientists began to venture that matter and energy were interrelated. In layman’s shorthand, matter was compressed energy, inert, waiting to be released. The widespread use of gunpowder had become common enough proof of that. Consequently, if one could discover a trigger to release the energy in matter, such a one could profit, not just by building more powerful weapons of war, but more pacifically from making energy replace horses (hence the analogy, if not necessity, of quantifying horse power). Furthermore, it had become plain enough that components or elements of matter/energy could be separated and distinguished. The alchemists had known this for centuries (if not millennia) when they sought to turn less valuable metals (like iron) into valuable metals (in particular that precious metal—gold). However, there was more to it than just that valuable transformation. The transmutation of ‘base metals’ into ‘fine metals’ took on spiritual meaning, becoming an analogue for a natural frame of reference to awaken to the spiritual path of illumination. An alchemist sought more than just getting rich through chemistry. He sought to become enlightened. His quest was to grow wise as well as wealthy. Alchemy had both a natural and spiritual meaning. Similarly, the nature of time and space became a matter of more than physics. With Einstein’s famous equation of e=mc2 (energy equals mass times the speed of light squared), the world (especially popular science) became smitten with many crazy (but true) notions that most humans had never thought of before. For one, it became important to recognize that matter existed within space. Additionally, matter possessed mass; however, this mass was connected somehow with its existence within time and space, and with an added but equally essential aspect of speed—involving how fast things travel (like light, radio waves, and maybe someday the real instantiation of the USS Enterprise). It turns out to be significant knowing just how quickly things can get from one place to another. As a quick aside, space might or might not be ‘empty.’ There has almost always been a debate about whether the aether exists—a medium some scientists speculate lies throughout the cosmos even when there appears to be a totally empty vacuum, without atoms or even tinier particles like bosons and quarks. Nowadays, we talk about how mass, energy, and even time are ‘relative’ depending upon how all these factors come together in a particular instance. We even commonly employ the once seemingly nonsensical term of ‘space-time’—that our universe, our cosmos (our ordered natural scheme of things) consists of matter and energy existing within this space-time. We experience space (measured by the familiar dimensions of height, length, and depth) and time (measured by various types of clocks); but most importantly as the way we experience reality through a continuous sequence of events that constantly goes forward and never backward. To expound further: in this modern depiction of the universe, understanding the conversion of matter into energy, we also have to factor how its motion (its speed, that is) causes it to alter the space-time that surrounds it as well as how it is affected by its surrounding space-time. Objects that go faster acquire more mass than when they are ‘standing still.’ Massive objects (according to Einsteinium physics theory) even warp space-time. Particles (like photons) are bent when they pass through this warped space-time. Therefore, it has become a common affirmation that our natural universe is much stranger than we once thought. This oddness causes many to wonder whether what we once called the ‘supernatural’ is actually just nature behaving differently than we previously understood. Is the supernatural just buried within invisible aspects of the natural? When it comes to the being we call God, is ‘He’ part of the parcel of this strange nature or is He existent outside of nature? The existence of God (a necessary Being who serves as the foundation all forms of existence). God’s eternity (He exists outside of time and space). We could digress into a study of these ‘first principles’ of cosmology. We won’t. But my point is that the great ‘natural’ philosophers from Plato to Aristotle to Maimonides to Newton (and down to our present day, one thinks of Hawking), seek to understand what if any distinction exists between the ‘supernatural’ and the ‘natural’. Most of us want to grasp what the nature of our universe is: “What are its fundamental laws?” For by knowing these laws we acquire understanding, and probably more to the point, we obtain power over nature (note: such power can be either good or bad—it all depends on how we use this knowledge). For persons like Josh Peck and this author, folk concerned with spiritual realities, we also want to understand ‘where’ God resides, what the essence of other created spiritual beings like angels or demons might be (if they exist and we assume they do), and whether we can literally ‘make sense’ of what is beyond our senses. It is in this manner that Josh Peck, my good friend, has written out his thoughts and placed them before you. Like me, he has an inquisitive mind. He has already traveled down this path trying to understand the ‘nature’ of both nature and the supernatural. He has done so not only to satisfy himself in order that he may benefit from a better understanding. He has done this to help you, the reader, to learn more about this fascinating connection between the natural and the supernatural too—in hopes that you may better appreciate God and His marvelous creation. Indeed, the work you have picked up explores this seldom trod path where physics and cosmology intersect. Peck attempts to understand whether there are hints within modern scientific knowledge which open the possibility (if not provability) there are genuine realities beyond our senses we might rightly label supernatural. 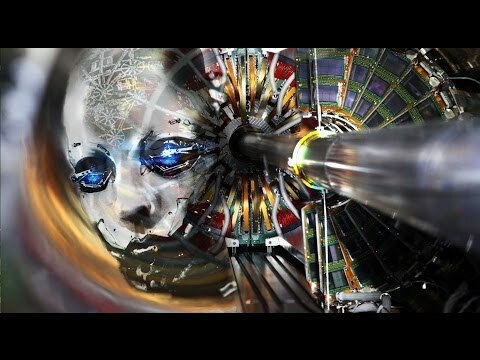 Do the findings of modern physics provide a framework that elucidates the nature of God, of time and eternity, of the natural and the supernatural? Do some supernatural phenomena fit within this framework? Do some realities (perhaps God Himself) still exist beyond the invisible dimensions that modern science postulates? To be sure, Peck ventures forth circumspectly. He treads carefully on this tricky subject matter. Consequently, I can assure you that he is making doubly sure that what he proposes not only squares with modern science, but is a viable explanation consistent with what the Bible teaches. In fact, Josh remains very concerned that science not be given a black eye even while insisting that all ‘first principles’ of our understanding derive from the Bible. He proclaims that science and the Bible don’t have to be mortal enemies—they can find peace in one another’s company. Both seek understanding and both can glorify God while benefiting His creatures. Of course, this goal does not constitute an easy task. Nonetheless, Josh has done as fine a job as any I can recall to open a door to an understanding of whether spiritual reality lurks within unseen dimensions of the physical universe. In the beginning was the Word. And the Word was with God. And the Word was God. All things came into being through Him. Without Him, nothing came into being that has come into being. (John 1:1-3). You see, even the Apostle John had to grapple with the reality of His experience of Jesus Christ and how his framework for understanding God, the Hebrew principle of there being only one God, could be reconciled. He knew that God was one. But he also knew that Christ was Himself fully God. His gospel asserts these truths in many poetic and dramatic ways. At the very beginning, he asserts that it was in fact Christ who had created all that exists. If Christ was God, He also had to be the creator. If God was one, there couldn’t be one God who created the universe and one equal to Him who did nothing. To express this reality and to clarify his meaning at the same time, John borrowed some words, one in particular, from a contemporary, Philo of Alexandria and from his philosophy of the LOGOS (i.e., the Word of God). Philo’s view challenged the then popular notion of the demiurge of the Greeks. John would begin with Philo’s logos, but further clarified what God had revealed to us through this Logos, whom John equated with Jesus Christ. Unlike Philo (a Jew) and the Greek Gnostic writings (some such heretical gospels may already have been circulating), John insisted that this Logos was more than an aeon, an intermediary, aka the ‘demiurge’ that created the world (a world made of matter that the Greeks believed was inherently degraded and would ultimately spawn evil). Instead, John insisted that Jesus was eternal in every sense of the word—indeed He was exactly the same as God because He was God. To make it plainer: He was in the very beginning with God; because He was God. Furthermore, everything, all things, including angels and archangels (the so-called heavenly host), were made by John’s Logos—and no other being had any part to play in this act of creation. It wasn’t that God the Father made some things and Christ made others. More to the point, it wasn’t that God the Father made God the Son first, and then the Son created everything else. No, John is clear: without Christ, nothing came into being at all that had ever come into being. It began with Christ, the only begotten of the Father. “No man hath seen God at any time; the only begotten Son, which is in the bosom of the Father, he hath declared him.” (John 1:18) “He that believeth on him is not condemned: but he that believeth not is condemned already, because he hath not believed in the name of the only begotten Son of God.” (John 3:18) We can rest assured—John was very specific about using the term ‘begotten’ and not ‘made.’ That is why the notion of the Trinity really does find its genesis in the New Testament. So it is that the Bible teaches it is a good thing to seek to understand the nature of God and His creation. By doing so, we understand far more about God, His love for us, and why He made us the crown of His creation. The book you are about to read contributes to that priority effort. Therefore, I commend Josh Peck and his book to you in hopes that you learn from it as have I. Through it, you will assuredly come to appreciate in more depth the creation and its wonder, as well as its wonderful Creator who applied His most beautiful design and so perfectly engineered it that He might “bring many sons to glory” (Hebrews 2:10). A heavenly calling we have indeed!